Copyright © 2016. 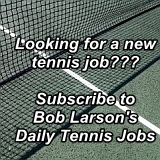 No duplication is permitted without permission from Bob Larson Tennis. 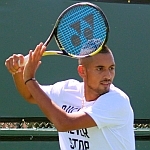 Nick Kyrgios is bonding with Australia’s new Davis Cup captain Lleyton Hewitt but Evonne Goolagong Cawley, one of the unquestioned sporting greats from Down Under believes the tempestuous 20 year-old could do a lot worse than spend more time with more mature legends such as Rod Laver and Roy Emerson. 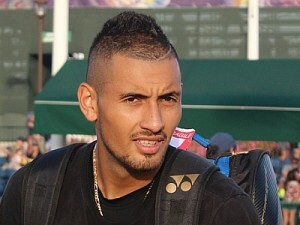 She believes they are the perfect role models for Kyrgios, who next week is guaranteed a new career high ranking after his run at the Miami Open. Goolagong Cawley was speaking in Kyrgios’ hometown of Canberra where she was running a tennis clinic with Indigenous children. 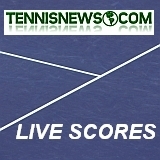 “It’s really up to Kyrgios now whether he behaves himself,” said the 64 year-old former Australian Open, French Open and Wimbledon champion. “You never saw my heroes like Laver and Emmo carry on like that. Goolagong Cawley said she was sad the way trouble seems to follow Kyrgios around because she is a big fan of his natural ability and she loves watching him play. She said: “He’s got so much talent. He’s wonderful to watch as a player. It’s great to see that sort of talent coming along. Goolagong Cawley also voiced her opinions on the equal prize money debate and the seven times major winning former world no.1 said: “What happened to equal opportunity? 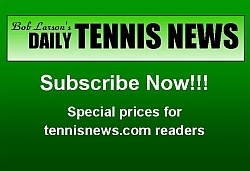 Not just in tennis, but everything. It’s something that Billie Jean King fought for. She played Bobby Riggs for that, and beat him.